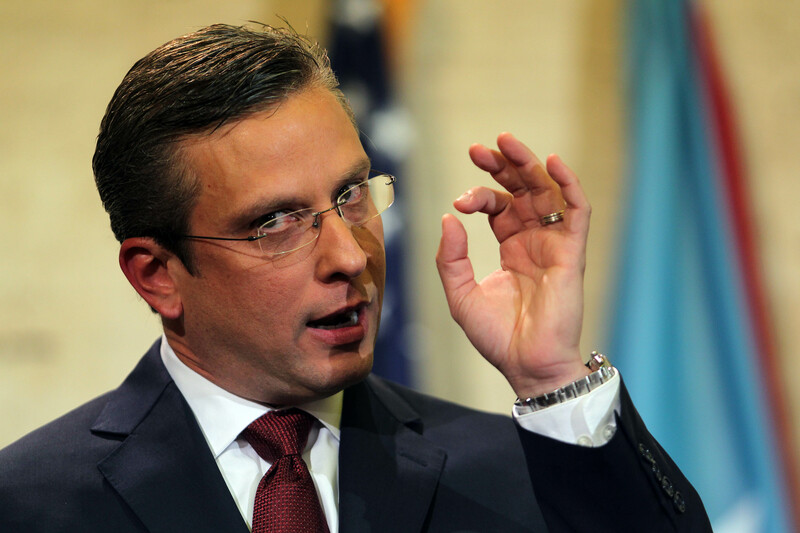 As if Puerto Rico were not suffering enough misery, a new one has developed…it turns out that its governor, Alejandro Garcia Padilla, is schizophrenic. The sickness became conclusive over the past two weeks, and then peaked yesterday, during the island’s Democratic Primary. For 77 years, the governor and his PPD party have led a bi-polar existence. They celebrated a confused Puerto Rico…having “the best of both worlds” as both a colony and a sovereign state, both at the same time. They called this monstrosity Estado Libre Asociado (Free Associated State), which was also reductio ad absurdum since Puerto Rico is not a state, is associated with no one, and is certainly not free. The absurdity of ELA was exposed by Pedro Albizu Campos, the Nationalist Party, the PIP and even José Trias Monje, the man who initially crafted it. Now in 2016, there are 72 billion reasons for ending it. The governor shouted that a Financial Control Board (FCB) is “unacceptable” for Puerto Rico. He announced that he would “go to court” to oppose any FCB in Puerto Rico. He even passed legislation which would allow him to deny money from the FCB, if they ever arrived in Puerto Rico. Three weeks ago, Hillary Clinton and Bernie Sanders showed their real feelings about Puerto Rico. Clinton endorsed the PROMESA legislation to create a Control Board over Puerto Rico, and Bernie Sanders opposed it. Since this is the central issue facing the island of Puerto Rico, and since Gov. Garcia Padilla had fiercely opposed the Financial Control Board, then the governor’s choice was clear…Bernie Sanders should be his candidate. This was only logical. This was the exact opposite of what happened. Gov. Garcia Padilla endorsed Clinton, even though she supports the Financial Control Board. By strange coincidence, within one day of Garcia Padilla’s endorsement, reports of election fraud against Bernie Sanders voters came in from all over the island. Three days after the reported election fraud, Clinton won the Puerto Rico Democratic Primary. And so the story continues…an island under economic and political attack, is being led by a full-blown schizophrenic. Unless of course, there was a personal or political advantage for Garcia Padilla, in his endorsement of Hillary Clinton. In which case he’s not necessarily a schizophrenic…just a lying, hypocritical, self-dealing politician. We have a few of those in New York…running the Puerto Rican Day Parade, auditioning for jobs in the Hillary Clinton White House. Put him together with PDP and PNP politicians and you get a bunch of looney tunes. What do you expect? On the contrary my respects to governor Garcia Padilla, about time. Very brave for been the first one on that party to come forward and talk straight to the UN. Since the United Nations were also victims of the USA lies, in 1953. When were told to take Puerto Rico off the list of colonies in the world. Not easy for someone that represents half of the population of the island that were taught to believed by the metropolis, that their status was legitimate. It is very easy to single out our problems to just one guy, its a little more complicated than that..